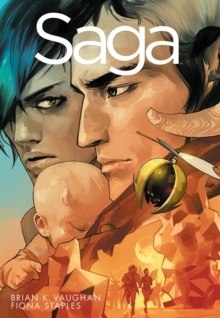 From Brian K. Vaughan, #1 New York Times bestselling writer of SAGA, andCliff Chiang, legendary artist of WONDER WOMAN, comes the first volume of anall-new ongoing adventure. In the early hours after Halloween of 1988,four 12-year-old newspaper delivery girls uncover the most important story ofall time. Suburban drama and otherworldly mysteries collide in this smash-hitseries about nostalgia, first jobs, and the last days of childhood. Collecting Issues #1-5 for only $9.99! 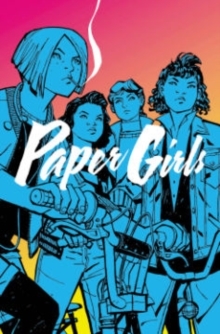 "Along with Paper Girls, BrianK. 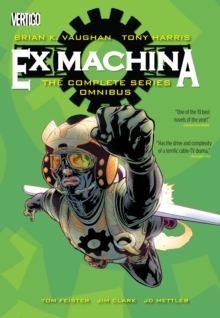 Vaughan is the writer/co-creator of the graphic novels Saga, The PrIvate Eye,We Stand On Guard, Y: The Last Man, Ex Machina, Runaways, Pride of Baghdad, TheHood, and The Escapists. 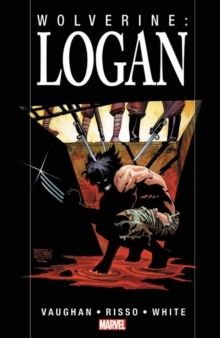 His work has been recognized at the Hugo, Eisner,Harvey, Shuster, Eagle, and British Fantasy Awards. BKV sometimes dabbles infilm and television work from Los Angeles, where he lives with his family andtheir loyal wiener dog Hamburger K.
Vaughan. After graduating from the KubertSchool JARED K. FLETCHER began working at DC Comics as part of their newin-house lettering department. A few years later, he left to pursue hisfreelance career as the proprietor of Studio Fantabulous. He spends his longdays designing logos, books, t-shirts, art directing covers, and lettering comicbooks.CLIFF CHIANG began working in editorial for Vertigo Comics before makingthe leap into freelance illustration in 2000 and he hasn't looked back. He'sbest known for his work on Human Target, Green Arrow & Black Canary, andWonder Woman. Cliff lives and works in Brooklyn, NY. MATT WILSON has beencoloring comics since 2003, getting his start coloring for the comics coloringstudio Zylonol Studios. After a few years in the studio, Matt eventuallybranched out on his own to color titles like Phonogram, Young Avengers, Thor,Daredevil, Wonder Woman, Swamp Thing, and The Wicked + The Divine. 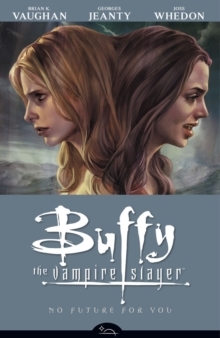 In 2015,Matt's work earned him Eisner Award and Harvey Award nominations. "